Hey Millennials…Here’s Why You Should Be Buying Flowers. Millennials often get a bad rap. We are a generation that has traditional marketers scratching their heads wondering how to reach us. We generally know what we want, and tend to want things based on their value to our lives. We are also one of the most socially conscious generations to date. To give a new and fresh look to Civil Hospital in India, the Senior Medical Officer has taken a great initiative by planting trees and flowers around the campus. “I have myself taken the initiative and planted nearly 60 saplings of fruit and fragrant flowers around the campus, so patients, who are already facing a tough time, have a fresh environment,” said Dr. Parwinder Pal Singh Sidhu. An attendant was all praise for fresh flowers blooming in the garden. “These flowers and plants remind us of life and instill hope in the hearts of patients who come here for treatment. Instead of the smell of medicines, we smell the fragrance of flowers while entering the hospital, which is a very positive vibe,” he said. This story the Tribune published is a testament to the importance of sending get well flowers and the impact they have on individuals lives. It is easy to forget about the trials and difficult circumstances that many families must daily face. We should follow Dr. Parwinder’s example and touch the lives of those around us who need encouragement and hope. Think about your family members or friends that are currently battling sickness. A beautiful bouquet of flowers arriving to their hospital room will bring a smile to their face and fill their hearts with love. Convey your love, thoughts, and kindness with the gift of get well flowers. It may seem like a simple gesture to you, but to the recipient it could be the hope that gets them through the day. Here are some of our favorite get well arrangements. 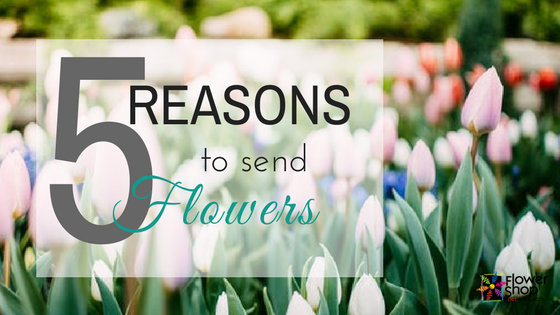 Find your local florist and send get well flowers today! Just a reminder to turn those clocks back this Sunday. Daylight saving time ends this year on November 3rd, 2013 . That means you’ll get an extra hour of sleep but those nights which have slowly been creeping closer are about to get much longer! Even though fall is such a beautiful time of year, days can start to feel rushed when the sun is setting at 5 o’clock. Who likes to miss all the sunshine and changing leaves while being at work all day? And like it or not, if you work a 9 to 5, darkness has settled in by the time you get home! Brighten your fall afternoons with flowers! Flowers bring their own sunshine and smiles. Be an everyday hero and send a cheery fall arrangement to your spouse or best friend! Potted house plants look beautiful and lift your mood. Plus they help purify the air so they are great for offices and small spaces. Looking for something new to spruce up your home? Check out seasonal wreaths, swags and more at your local flower shop. Even though the days are getting shorter, you can still enjoy the bright bounty of nature when you give the gift of fresh cut flowers and living plants. It’s a great way to show someone special that you are thinking about them or a perfect way to treat yourself. Find your real local florist today and order the great flowers to fall back with this season.